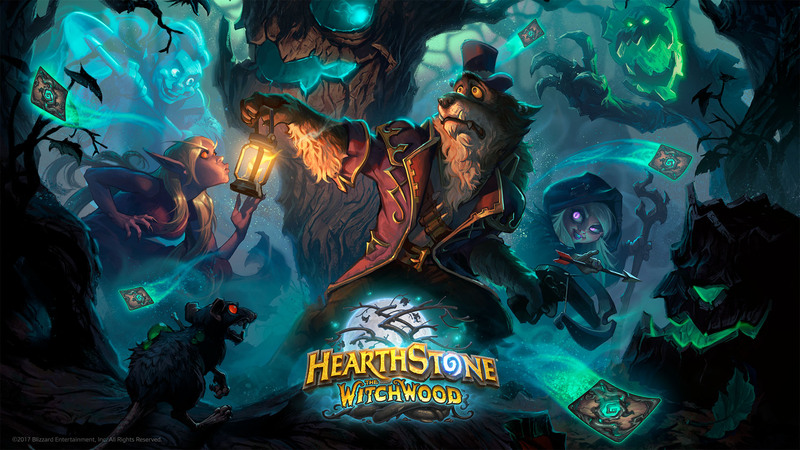 Blizzard’s competitive card-collecting game, Hearthstone’s first major expansion for the year, titled The Witchwood is now live on all platforms. Coinciding with the start of a new calendar year for Hearthstone, the latest update will also put final touch-ups in place for the Year of the Raven. Once the Year of the Raven begins, you will receive the full Arcane Dust value of these cards without needing to disenchant them (up the maximum number that can be used in a deck). Lunara: New Druid Hero — Earn Lunara by winning 10 Standard Ranked or Casual games after the new Year of the Raven arrives! All quests that previously awarded 40 gold will now award 50 gold. Most Daily Quests are now easier to complete. Note: Quests acquired prior to this patch will keep old requirements and rewards. Now you can share your decks with friends during a Friendly Challenge! This feature isn’t available for Tavern Brawl or Fireside Brawl. We’ve begun preparing the Tavern for an egg-cellent event coming in Spring. Monster Hunter – Acquired from completing the Monster Hunt with all four heroes and defeating the evil in The Witchwood. Moderately reduced the appearance rates of below average cards. Humongous Razorleaf and Ancient Watcher will no longer appear in Arena drafts. Here is the full list of bug fixes and gameplay improvements. Hearthstone is free to play and available on iOS, Android, Windows and macOS platforms. The Witchwood content expansion is now live. Check out its release trailer.